Category "Diagnosis and Measuring Systems"
Dr. WOLFF Training diagnosis - directly from the manufacturer! 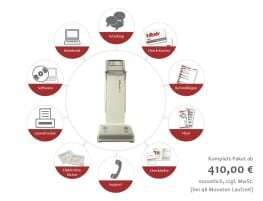 InBalance 300 - Medical Certified Body Composition Analyzer. *SPECIAL OFFER! - *PROMOTION PRICE! The physiotherapy uses various diagnosis and measuring systems or diagnosis and measuring equipment which are often simply called measuring devices. Among the classic devices which can be found in a physiotherapy practice are e.g. 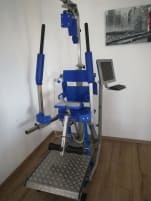 special machines for the evaluation of the mobility of spine and joints. The machine is guided along the spine or joints measuring the important features. 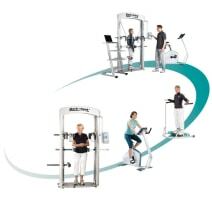 There are also special machines measuring the stability of the body, regulatory ability and functional asymmetry. It is not always necessary to buy completely new devices. 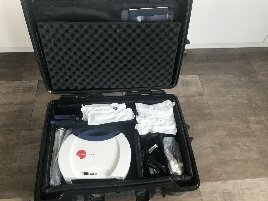 Buying used diagnosis and measuring equipment is much cheaper although the devices often are as good as new and therefore used machines are especially popular among founders of a new business. They provide the same functions and potential as new machines, but at a much lower price. 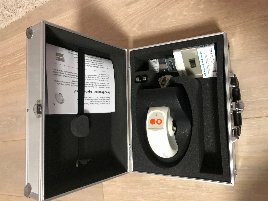 If you are closing a physiotherapy practice and want to sell therapy devices, just create an ad on fitnessmarkt.com. It is recommended to give a detailed description of the new or used diagnosis and measuring equipment so the prospective buyer has the most important information just at a glance. It also supports the sales opportunities to add pictures of the machine to your ad.